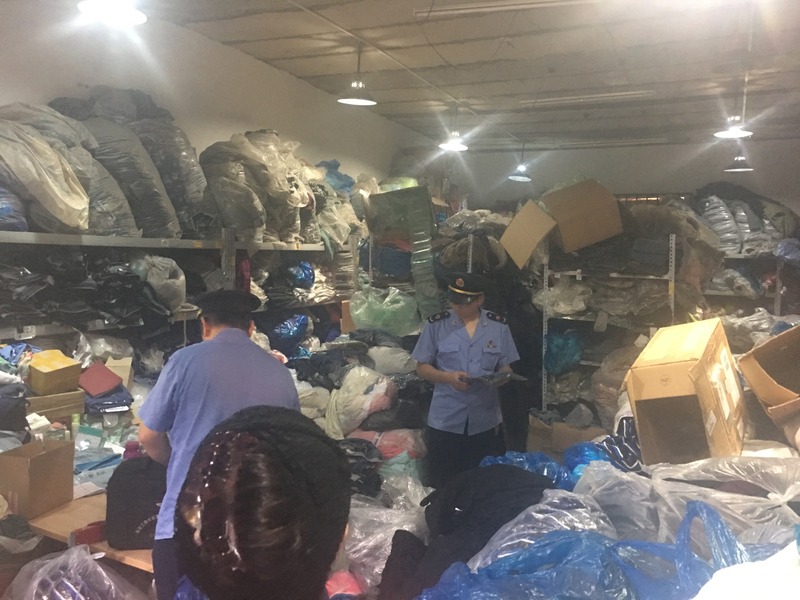 On 11th August 2017, a raid action initiated by Haidian Branch of Beijing AIC against the site of Beijing Sanshifeng Commercial Trading Co., Ltd. (“Sanshifeng”) has resulted in the seizure of 84 counterfeit NINE WEST short coats. The case is now pursued by Beijing AIC through in-depth investigation (with a target focus upon the infringements of Sanshifeng). 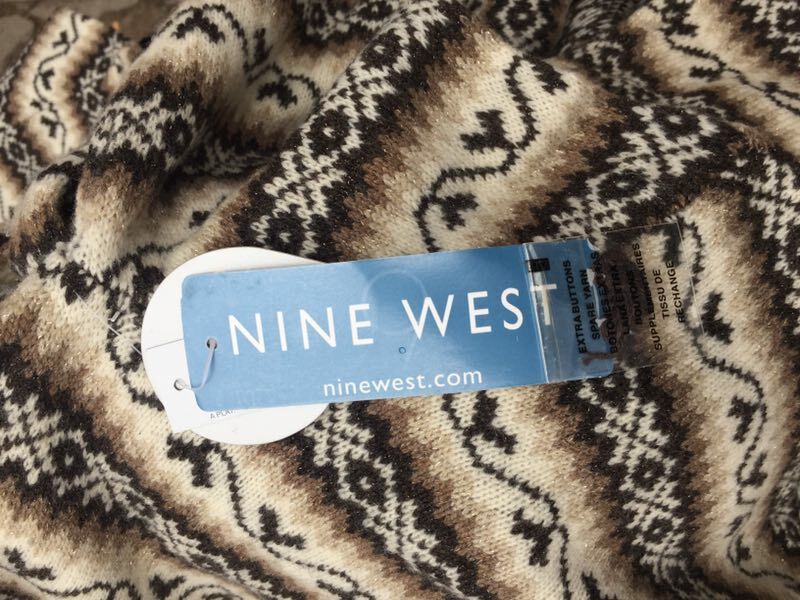 Chang Tsi identified a cyber-vendor in the name of Sanshifeng, which was distributing suspect counterfeit NINE WEST branded garments via Alibaba** portal. Under the approval of the brand owner, an onsite visitation to the cyber-vendor’s premises was arranged and a certain amount of counterfeit garments was witnessed. By defining the most appropriate timing, the representatives of ChangTsi & Partners coordinated a raid action** with the efforts of the Haidian Branch of Beijing AIC on 11th August 2017. 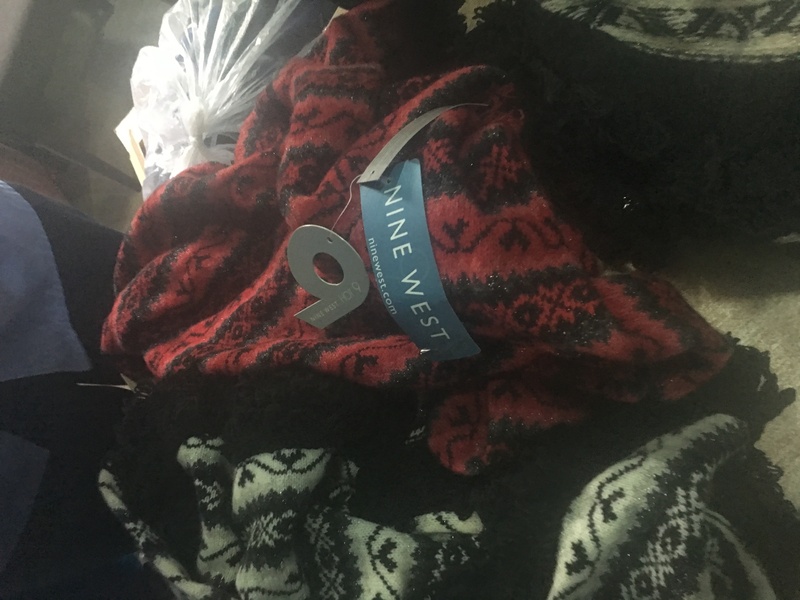 The AIC officials inspected the site thoroughly, seized all the 84 counterfeit NINE WEST short coats and issued an Administrative Enforcement Decision. Upon debriefing, the owner of the site (surnamed DOU) alleged that the relevant garments were sourced from flea markets. It is worth noting that the current case was the very first successful raid by Nine West in China. 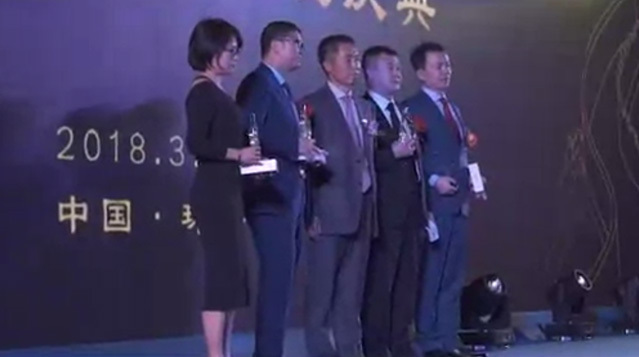 The raid itself not only thwarted the Sanshifeng’s counterparts in this particular “industry” but also demonstrated the brand owner’s determination to ensure a clean marketplace by cracking down on infringements of its IP rights. **Alibaba.com, the primary company of Alibaba, is the world's largest online business-to-business trading platform for small businesses. The company's English language portal Alibaba.com handles sales between importers and exporters from more than 240 countries and regions. The Chinese portal 1688.com was developed for domestic business-to-business trade in China. In addition, Alibaba.com offers a transaction-based retail website, AliExpress.com, which allows smaller buyers to buy small quantities of goods at wholesale prices. In 2013, 1688.com launched a direct channel that is responsible for $30 million in daily transaction value. Based on the information and documents provided by the IP holder or its agency, the administrative agencies will determine if there is an infringement. If they agree that there is infringement, they will usually organise a ‘raid’ action quickly – the officials will inspect the infringer’s premises, search the production areas and warehouses, and detain the suspected goods and relevant documents. A Punishment Decision, which usually includes a fine, is issued following the conclusion of the case. It is always advisable to initiate raid actions against targets with small infringement scale from time to time. (2) Using a trademark that is similar to a registered trademark on the same goods, or using a trademark that is identical with or similar to the registered trademark on similar goods without the licensing of the registrant of the registered trademark, which is likely to cause confusion . (7) Other acts that have caused any other damage to another's exclusive right to use a registered trademark. Article 60 A dispute that arises after a party has committed any of the acts infringing upon another party's exclusive right to use a registered trademark as listed under Article 57 of this Law shall be resolved by the parties concerned through consultation. Where the parties concerned are unwilling to engage in consultation or where the consultation has failed, the trademark registrant or an interested party may bring a lawsuit to the competent people's court, or ask the relevant administration for industry and commerce to address the dispute. When addressing the dispute, the administration for industry and commerce shall order the relevant party to immediately cease the infringing acts if it is of the opinion that infringement has been established, and shall confiscate and destroy the infringing goods and instruments mainly used for manufacturing the infringing goods and forging the registered trademark. Where the party has gained RMB 50,000 or more of illegal business revenue, a fine of up to five times the illegal business revenue may be imposed thereon; or where the party has no illegal business revenue or has gained less than RMB 50,000 of illegal business revenue, a fine of up to RMB 250,000 may be imposed thereon. The party shall be subject to heavier punishments if it has committed trademark infringement on two or more occasions within five years or falls under other grave circumstances. The administration for industry and commerce shall order the party to stop selling the products infringing upon the exclusive right to use the relevant registered trademark if the party has no knowledge of the infringing nature of such products, is able to prove that the products are obtained by legitimate means and can provide information on the suppliers of the products. Article 61 In the event of an act of infringement of the exclusive right to use a trademark, the Administrative departments for industry and commerce shall be granted with authority under the law to investigate on and punish against it. If it constitutes a criminal offense, they shall promptly transfer the case to a judicial authority for settlement in accordance with the law. 2. For brand owners, it is advisable to be prudent when selecting agents to assist with anti-counterfeiting action in China. According to a recent report, multinational corporations doing business in China face a losing battle when it comes to keeping copies of their products off the market, with anti-counterfeiting investigators either collaborating with producers of the fake goods, or copying the goods themselves. The Associated Press said it had found that anti-counterfeiting investigators were widely involved in copying the products of their own western customers so they could claim bounties for “seizing” them. The segmentation of service providers in this market greatly varies from one another. For instance, there are high end law firms working with prestigious brand owners to carry out investigations and raid actions with the strictest discipline and ethical standards. On the other end of the spectrum, there are notorious investigation firms, particularly in Guangzhou city, that invent false reports of counterfeits to generate sales of their services. Some of these firms have even been black-listed by the local enforcement authorities. Being the world’s factory for the last several decades, China has been recognised as the primary provenance** of passing off throughout the globe. As noted above, this has now started to change— China steps up protection of intellectual property rights from the national level. ** The European Commission recently published its 2016 annual report on Customs enforcement of intellectual property rights. Not unexpectedly, the aforesaid report reveals that China is by far the main country of provenance (i.e. 80.65%, by articles) of suspected IPR infringing goods were coming from at the moment of the detention, and which were not released. On 8th September 2017, the Office of National Leading Group on Fight against IPR Infringement and Counterfeit, together with State Intellectual Property Office, Ministry of Public Security, Ministry of Agricultural, Ministry of Commerce, General Administration of Customs, State Administration for Industry & Commerce, State Administration of Press Publication, Radio, Film and Television, State Forestry Administration, State Post Bureau, the Supreme People’s Court and the Supreme People’s Procuratorate, totaling 12 departments, jointly issued an Action Plan for Foreign-Invested Enterprises’ Intellectual Property Protection. According to the action plan, the action includes 11 objectives: i) protection of trade secrets, which is an issue frequently raised by foreign enterprises in China. ii) protection of trademark rights. The “bad faith” filing of trademarks and “free riding of famous brands” will be targeted. iii) governance of Internet-related infringement and piracy. Starting from 1st September 2017, the customs authorities across China will roll out a 3-month campaign for the IPR protection of leading export enterprises with IP advantages, codenamed as “Longteng” Action. In this action, the customs authorities nationwide will focus on the products exported to Africa, the Middle East and Latin America, as well as the countries and regions along the “Belt and Road,” including electronics, engineering machinery, daily necessities, holiday products and other conventional competitive products. It aims to carry out special law enforcement actions and provide assistance to enterprises to protect their rights.